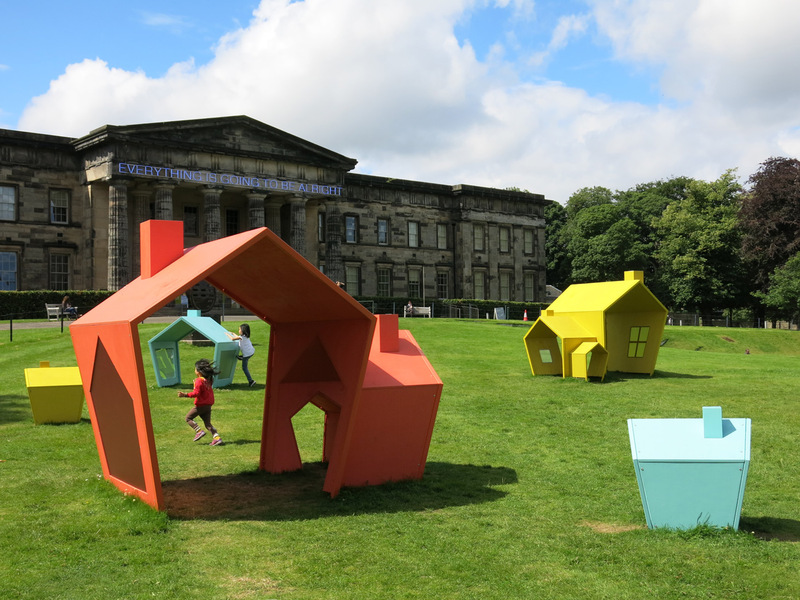 Scottish National Gallery of Modern Art One – Now Build! 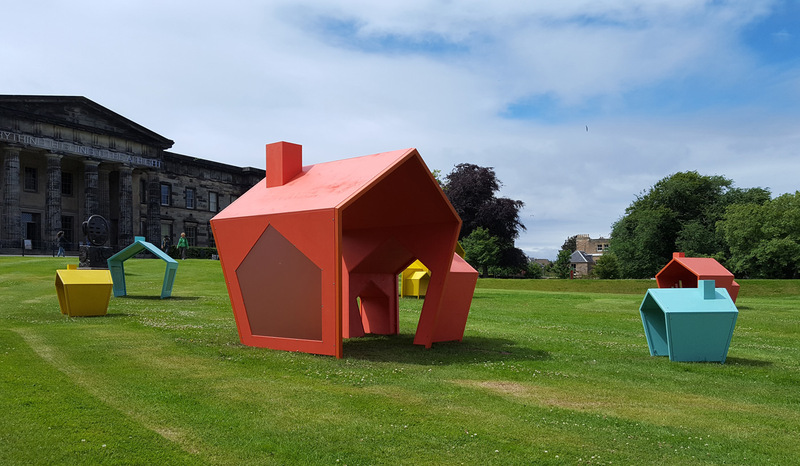 For the third consecutive year, Old School Fabrications were invited to create installations in the grounds of the Scottish National Gallery of Modern of Art for children aged 2 to 12 years of age. 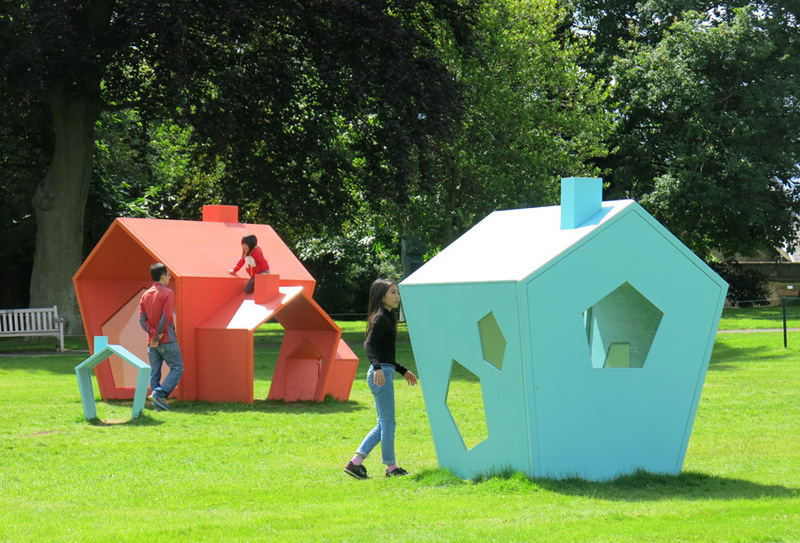 We produced and installed two different interactive play spaces in the gardens of Modern One and Modern Two. 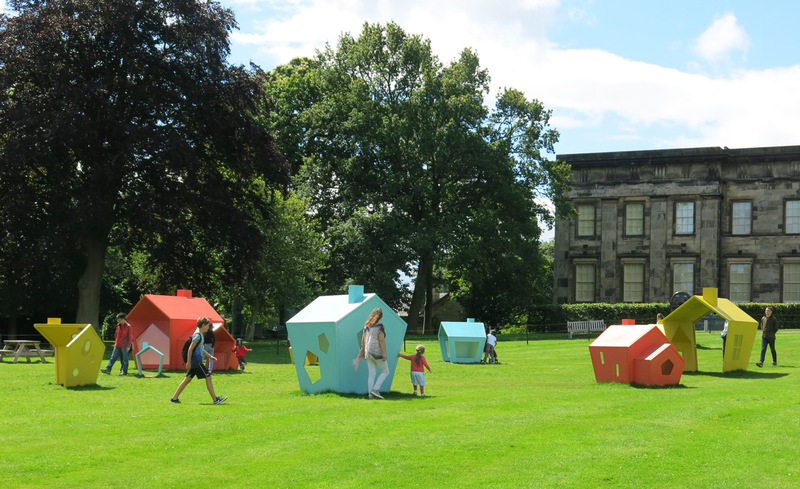 In Modern One’s grounds is the first of our two outdoor build, create and play spaces. 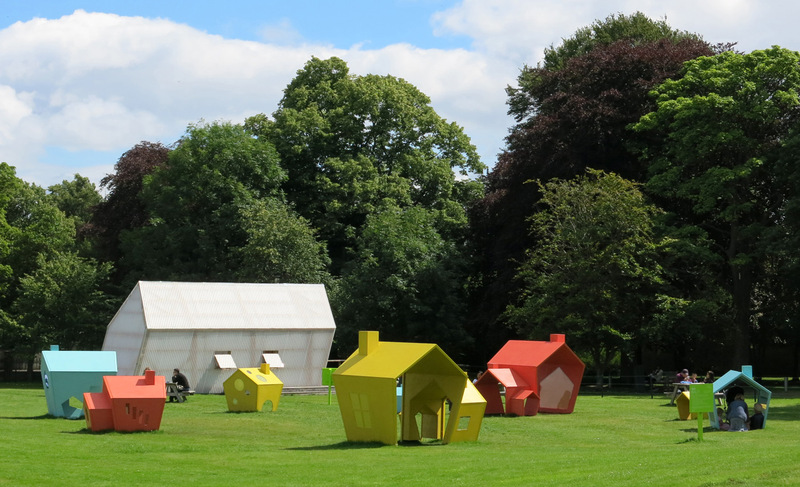 Six brightly coloured structures were designed to resemble a settlement. 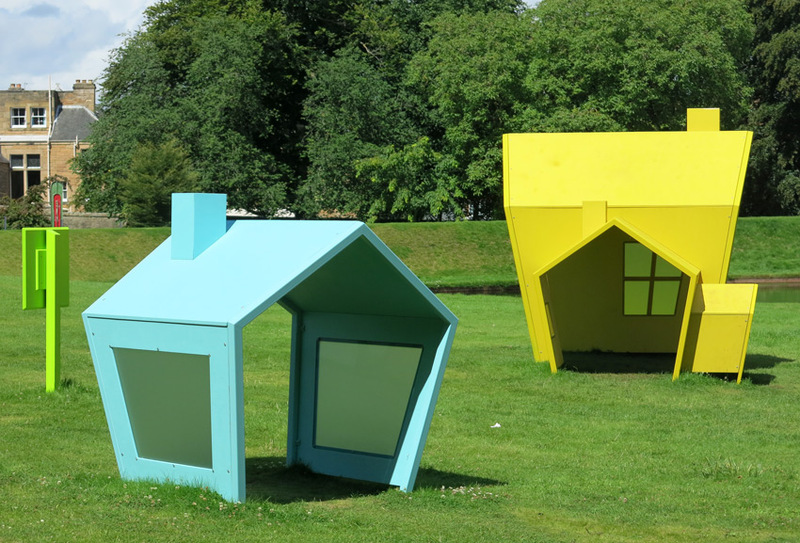 The sloping angles and simple playful shapes visible within the structures referenced buildings and forms often found in children’s fantasy stories. Employing an attractive and colourful palette our painted birch plywood structures complemented our adjoining play space at Modern Two.